I know you’ve been looking at your prosaic smattering of material goods, wondering why you don’t have a custom made mash tun to brew all grain beer. It’s OK. I was too. It’s a normal and healthy question to ask yourself. Until very recently, I had done all of my homebrew with malt extract: big cans of thick gloopy brown stuff that is packed with sugar for the young voracious yeast in your beer. This is great for learning the basics of brewing (it is simpler, takes less time, and is less messy), but it’s an established fact that real home brewers make their tinctures from 100% whole ingredients. Making the move to all grain is like a homebrewing right of passage; the malty vision quest that all young brewmasters must go on to realize their beer-soaked destinies. 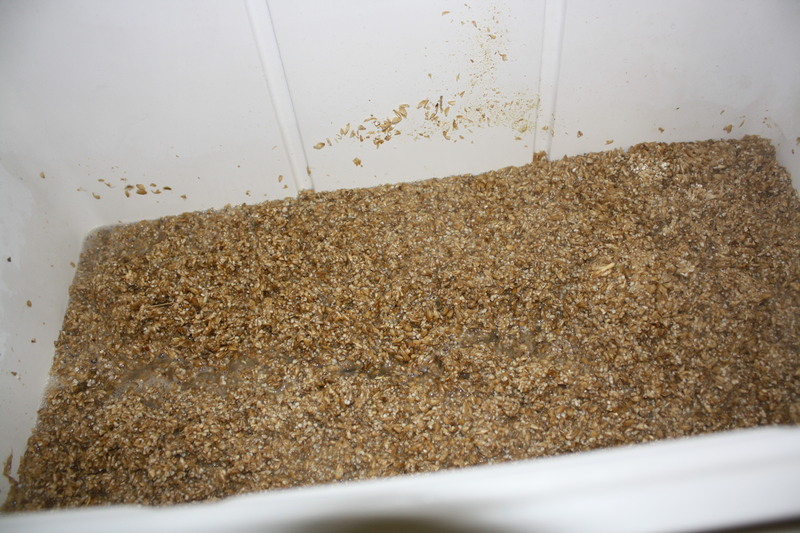 All grain brewing basically means that you make your own mash from pounds and pounds of grain, instead of using extract. Aside from making you into a total beer brewing badass, using cracked malt leads to better tasting beer and gives you a lot more flexibility in flavor, color, and final ABV. But how do you get the sugar out of all that delicious grain? Tasty porter on a beer man’s chest. A mash tun is just a large receptacle for grain and hot water. You want your grain to sit and steep inside of it so that all of the delicious sugars blend with the water and make tasty wort. The key here is that you don’t want the grains to come with sugar/water concoction, as they can cloud up (and add nasty chunks) to your beer. 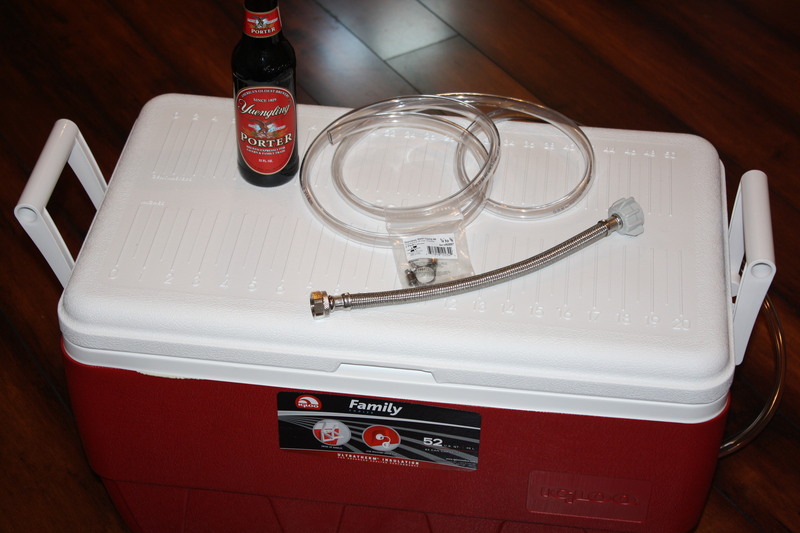 The supply line hose you bought is going to be a filter inside the cooler that stops the cracked malt from entering your wort. First, hack off both ends of the supply line with your hacksaw. This is easier if you have a vice. I don’t have a vice, so I held it with my super manly hands. Be careful that the frayed pieces of steel wire don’t poke and hurt your manly hands. 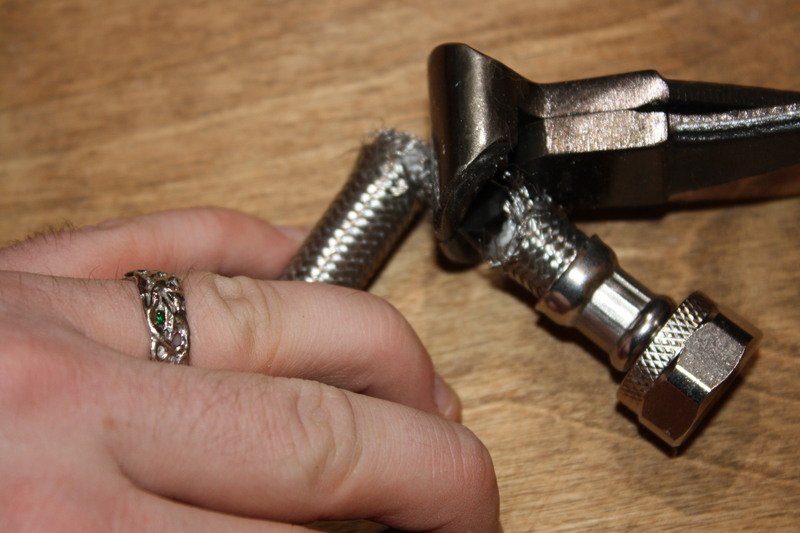 When you get near the end, if a small section of the steel won’t saw, clip it off using some wire clipper to fully separate the ends from the main tube. 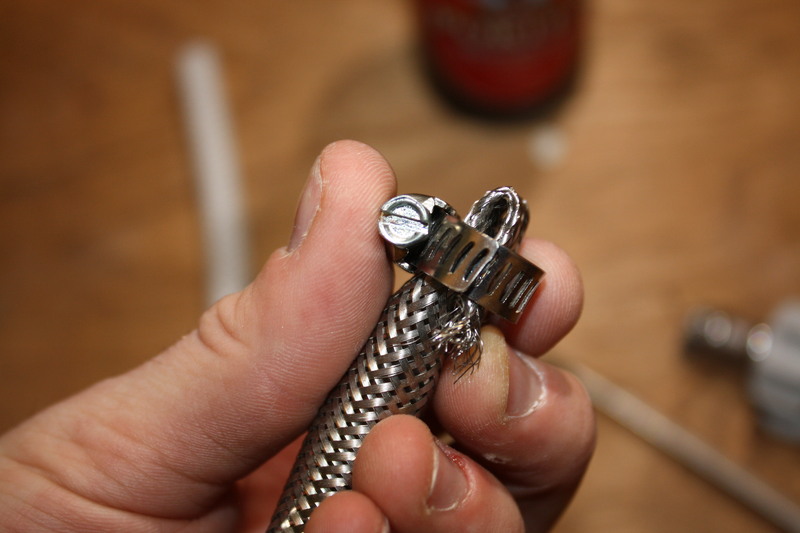 Braided stainless steel is surprisingly hard to hacksaw. Who’da thunk it? Once the steel beast has been (double) beheaded, use your pliers to pull the plastic lining out of the steel part of the tube. This will leave you with a mesh hose with very fine holes all up and down it. A perfect grain filter if I’ve ever seen one. The tube now functions like a Chinese finger trap. That was me being figurative. Please don’t stick your fingers into it. The last thing you need to do with the hose is fold it over itself two or three times and clamp it down as tight as it will go with one of your hose clamps. This will keep grains for sneaking into your filter through the end. Please excuse my cuticles. I need a mani/pedi real bad. This is really important. If you just connect a hose to the spigot of your cooler, chances are pretty high that you’ll have boiling hot wort all over your floor as soon as your start to sparge your grain. I tried a few different variations here, and a ball-lock valve with some nice copper fixtures makes for the most solid, leak-proof seal. You have to build this device in two sections: one on the inside of the cooler, one on the outside of the cooler. 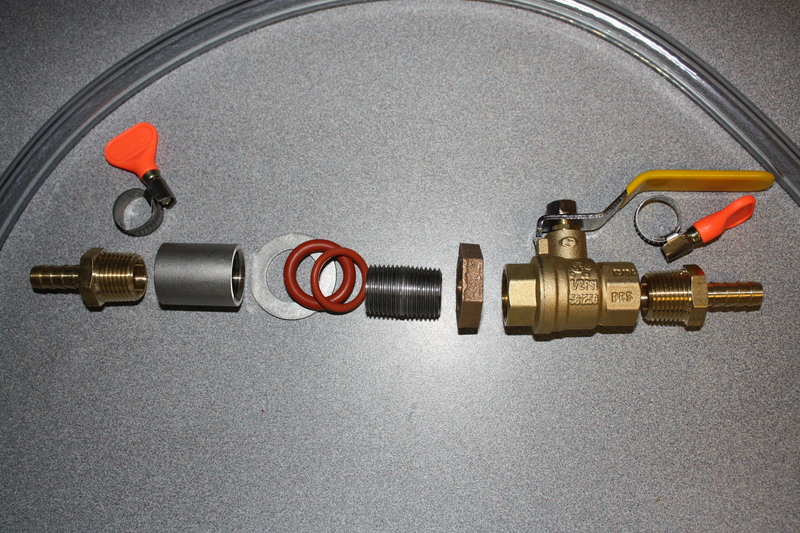 The “threaded middle piece” sits in cooler limbo, half in, half out, all ready to receive its respective end of the device. When you’re ready to install the valve, carefully remove the original drain spigot by undoing the plastic bolts that hold it in place. Save this piece as you could always put it back in a re-convert this into a regular old cooler when you need it for a party. 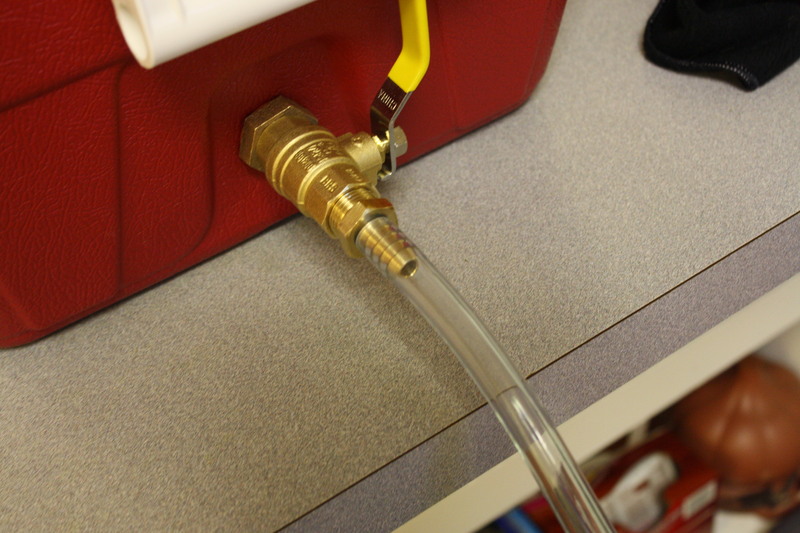 Assemble your valve, make sure the o-rings are tight against the walls of the cooler, then fill it with a small amount of water and check for leaks. It helps to wrap the “threaded middle piece” in some Teflon tape if you’re getting small drips on the outside of the cooler. 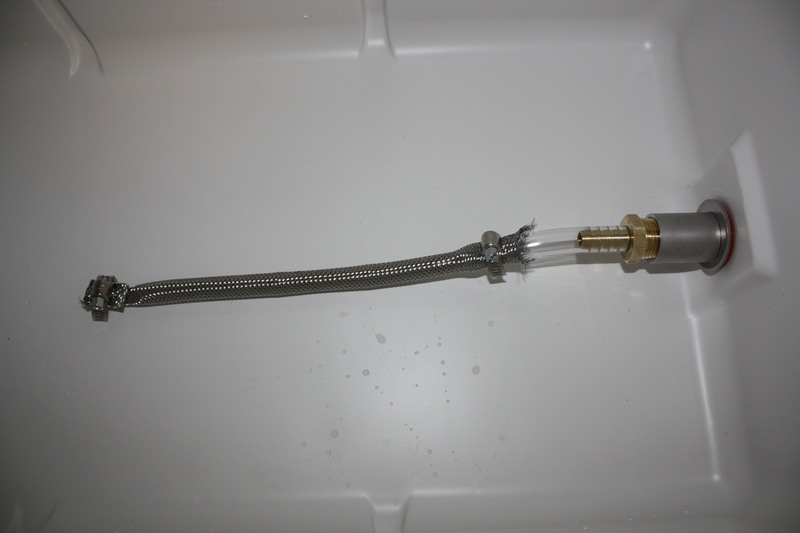 This part should be pretty easy, just connect your pre-fabbed toilet-hose-filter to a piece of 3/8″ inch tubing that connects to your valve on the inside of the cooler. Secure it with hose clamp if you can’t get a very good fit. Step 4: Buy some grain and start brewing! As long as this bad boy doesn’t leak, you’ll be all grain brewing in no time. When using this, make sure to keep it insulated (with towels or blankets or insulated wrapping) so that all that sugar-sucking heat doesn’t escape. Also elevate it so that you can use and abuse gravity to get all of that sparged wort into your brew pot as quickly as possible! But more importantly, enjoy. 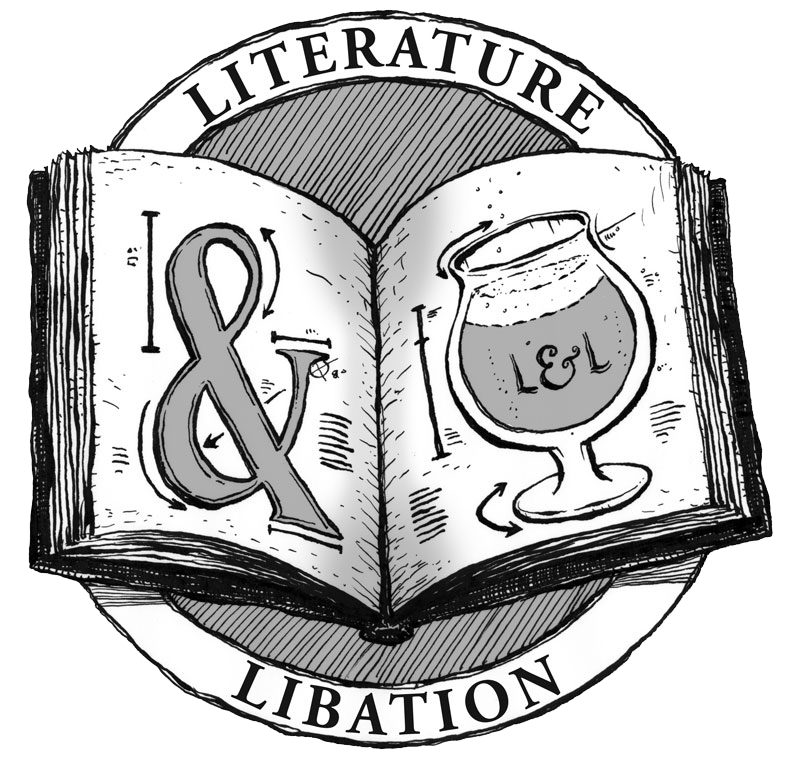 All grain brewing brings a whole new level of dorkiness to your homebrewing activities, and puts you one step closer to owning/running your own brewery. Dream big my friends, dream big. Looks a lot like oatmeal, huh? I like the supply hose braiding idea. Nice. Wish I could claim I was that smart. Took the idea from Don Osborn (link in the post), just tweaked it to my needs. 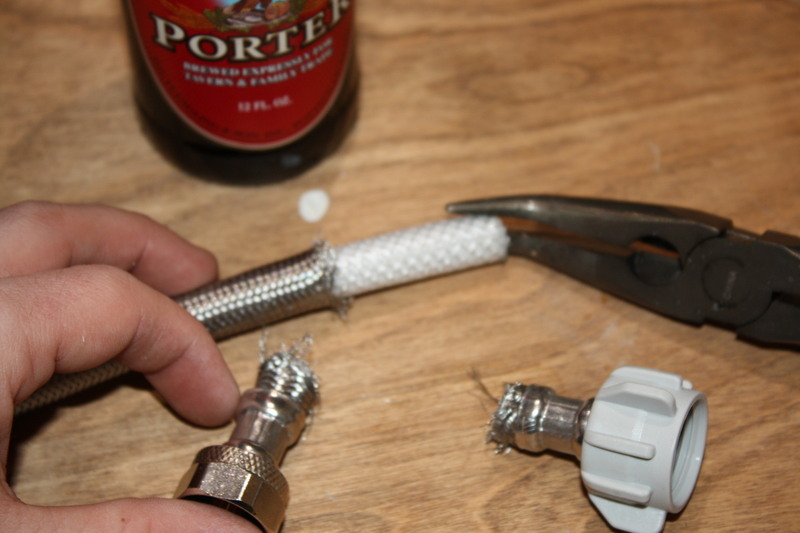 Saw the braided hose trick when I was looking at some latest advancements in home brewing. Definitely better than sawing slots in copper tubing.